Yes, I'm back for another term! 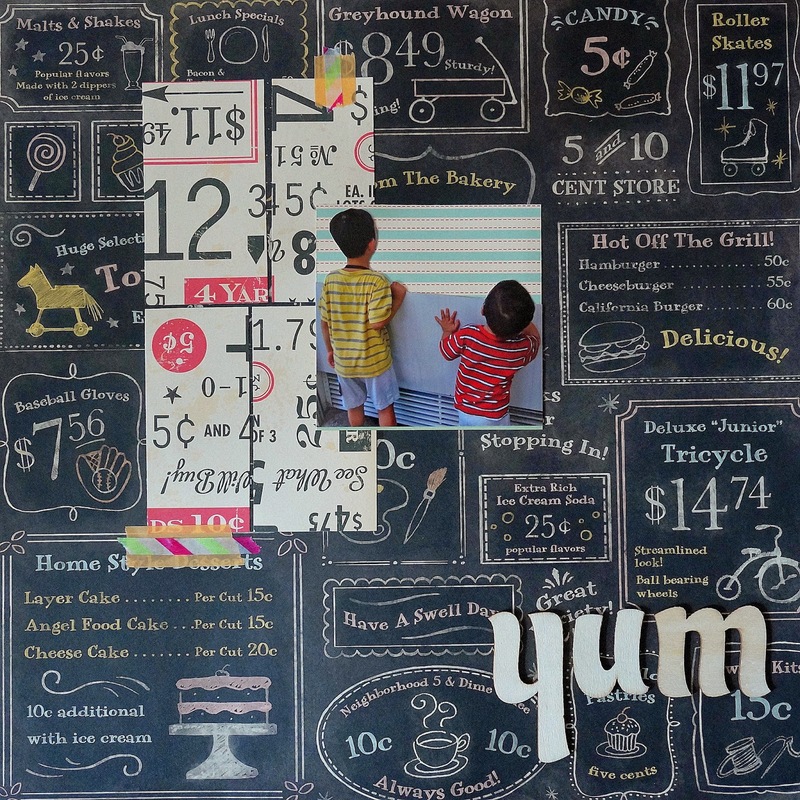 Here's my July layout with Stick It Down, a layout with a photo of the kids at an ice cream stall at Botanic Garden. I used busy papers for this layout, just for the fun of it (pst.. and also to clear my stash!) Do check out the site for other inspirations by the talented bunch at Stick It Down! Have fun! I just love the papers that you used together, great LO. Just love it Michelle. That chalkboard effect of the design paper is just scrumptious.